In previous years, RSPCA NSW has taken in more than 9,000 pets who were no longer able to stay with their owners. We understand that circumstances change, and you may find you can no longer take care of your pet. 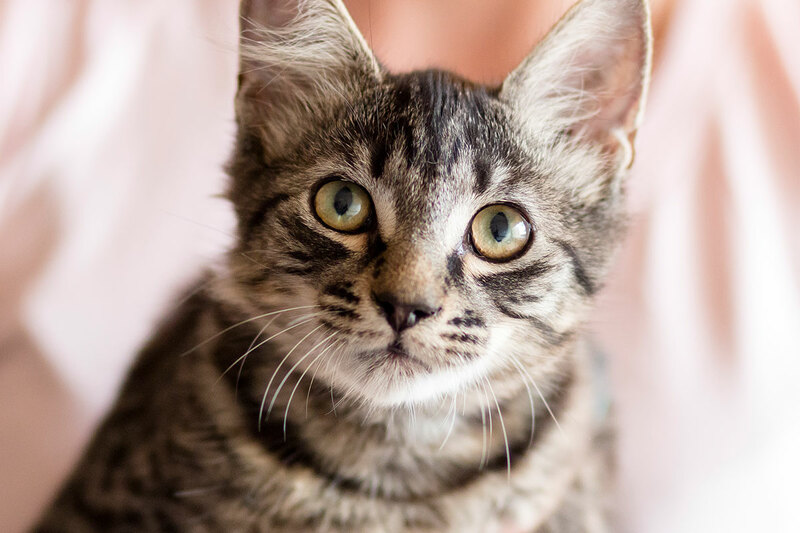 We also know it can be an incredibly difficult to decide that surrendering your animal is the best option, and thank you for reaching out to us for help. If your animal is aged, injured, terminally ill or in need of veterinary treatment, and you’re not in a position to continue to care for him or her, you may need to consider speaking with our Veterinary Team about the options available to support you. You can find your nearest RSPCA NSW veterinary hospital here. If you are having trouble with your pet and looking for advice, please read the FAQs below and find out how RSPCA NSW can help. I’m moving and unable to take my pet. Can RSPCA NSW help me? A pet resume may be your key to success. Consider keeping a veterinary history, up-to-date vaccination certificates and a behaviour profile for your pet. I need financial assistance to get my pet desexed. Can RSPCA NSW help me? To assist with the cost of desexing pet cats and dogs, RSPCA NSW offers subsidised desexing programs on a case-by-case basis. Please contact your local RSPCA NSW branch, shelter or veterinary hospital to see how we can help. I think my pet may have behavioural problems. Can RSPCA NSW help me? If your pet cries or howls when left home alone; digs, chews or destroys your house; or would simply benefit from basic manners and house training, RSPCA NSW may be able to help you and your pet. Behaviour modification programs are often successful in enabling owners to keep their pets, and enjoy a long and fulfilling relationship. Please contact your local RSPCA NSW branch, shelter or veterinary hospital to see how we can support you. I think I’m allergic to my pet. Is there anything I can do? Believe it or not, many people think they are allergic to their pets, but the cause of the reaction comes from something else – such as flea treatment. The only way to verify your allergy is through a test by your local GP. Create a pet-free zone in your home, such as your bedroom, and do not allow your pet to access this area. Often, it not a small exposure to an allergen that triggers a reaction, but increased exposure over time. Wash and groom your pet regularly. Bathing them and trimming their fur will prevent the build-up of old and loose hair. Keep your home clean and invest in an air purifier. Regularly wash your bedding, carpet and curtains. I am having trouble caring for my pet at the moment, can RSPCA NSW help? We understand circumstances can change, and sometimes all we need is a little support. In some cases, short-term respite care can help restrengthen the bond between you and your pet. Please contact your local RSPCA branch, shelter or veterinary hospital to see how we might be able to support you. My pet is showing signs of aggression. Can RSPCA NSW help me? If your pet is displaying signs of aggression, depending on the level of severity, it may be possible to successfully treat and manage these issues. It is crucial to diagnose the type of aggression and its triggers, so we can identify what provokes this behaviour. Consider seeking assistance with a behavioural specialist, or speak with our Veterinary Team for more information. My pet is a restricted breed. Can he or she be rehomed by RSPCA NSW? RSPCA NSW is unable to rehome restricted breeds, such as Pitbulls, or animals who have been declared dangerous. We suggest that you contact your local council first to see if your pet has any restrictions or orders on file. If not, you may be able to privately rehome your pet. Alternatively, you can surrender your pet to your local council, impounding facility or shelter. What can I do to give my pet the best possible chance of finding a new forever home? Give yourself time to rehome your pet. It can often take weeks or months to find your pet a new home. To increase your pet’s chances, ensure he or she is desexed, groomed and vaccinated. If your pet is a purebred, you could try contacting the original breeder or a reputable rescue group. Sometimes, the best homes are found with people who already know and love your pet, so try asking family and friends too. You could also use social media or adverts, as this lets even more people know that your pet is looking for a new home. What is the surrender process? RSPCA NSW’s goal is to find the best possible forever home for every healthy or treatable animal that comes into our care. If you would like to surrender your pet, please contact your local RSPCA shelter to make an appointment. You will also need to pay a surrendering fee when you relinquish your pet. This fee assists us with the cost of caring for your pet while he or she is in our care. Please contact your local shelter to find out more about this fee. When surrendering your pet, you will need to provide personal ID e.g., a driver’s license, proof of ownership e.g., microchip paperwork from the council, and any veterinary information for your pet. It is very important to note that RSPCA NSW cannot guarantee an adoption outcome for every animal who is surrendered to us, as this is dependent on a medical and behavioural assessment.